With the fall of Persia to Alexander the Great, the age of the great Eastern empires ended. Western might came to dominate the Mediterranean and the Middle East. Indeed, the Greek empire began the largest the world had ever seen, extending even into western India. 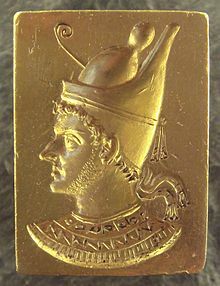 Although Alexander the Great dies young amidst suspicious circumstances, his empire continued under rule of his generals, who split into four sections. Ptolemy Soter claimed Egypt and Israel. Politically, little changes for the Jews under the Greek and Ptolemaic rule. They continued to live and worship under the authority of a distance and foreign ruler, much as they had for generations. Culturally, however, they became more and more influenced by Greek (Hellenistic) civilization. Alexander’s strategy for serving his empire had been to unite the diverse, subjugated peoples around common culture. The Ptolemaic dynasty carried out this policy with vigor promoted Greek language and thought by all possible means. Thousands of Jews were forcibly resettled in Alexandria. Although Jews both at home and abroad resisted adapting to Greek religion, they couldn’t escape all aspects of Hellenistic influence. They soon began to speak Greek the trade language of the empire.Their worship came to reflect a Greek preference for aesthetics over content. More significantly a group of Jewish scholars over content. More significantly, a group of Jewish scholars during this time translated the Old Testament from its original Hebrew into Greek. Called the Septuagint, the Greek translation be widely used by Jews everywhere, Jesus himself later quoted from the Septuagint, as did many New Testament authors. In 198 B.C, the Syrian section of the empire overthrew the Egyptian section. For the first time, Israel came under the rule of a leader who tried to stamp out Judaism completely. Antiochus Epiphanes desecrated the Temple, forbade sacrifices to Yaweh, outlawed circumcision, forced Jews to eat pork, and cancelled Sabbaths, and feast days. Some Jews attempted to conciliate Antiochus and cooperate with Hasidim(pious ones) forrunners of the Pharisees. Also a group loyal to the high priest emerged, the precursors of the Sadducees. The conflict in Israel finally reached a boiling point when an elderly priest named Mattathias refused to offer a required pagan sacrifice. Mattathias killed a Syrian officer and a reprobate Jew, fled to the hills, and called faithful Jews, everywhere to join him in rebellion. During the ensuing the guerrilla war, Mattathias’s son Judas Maccabeus, eventually overcame Syrians and achieved independence for Israel- its the last period of self rule until the emergence of the modern state of Israel in 1948.